ABC Legal is a court services platform for legal professionals who refuse to settle for business as usual. Over 2,000 law firms and government agencies, including the US Department of Justice, trust ABC Legal process servers. Our firm files hundreds or thousands of cases each month. I file a few cases each month and my time is precious. My firm is growing quickly or expanding into new markets. 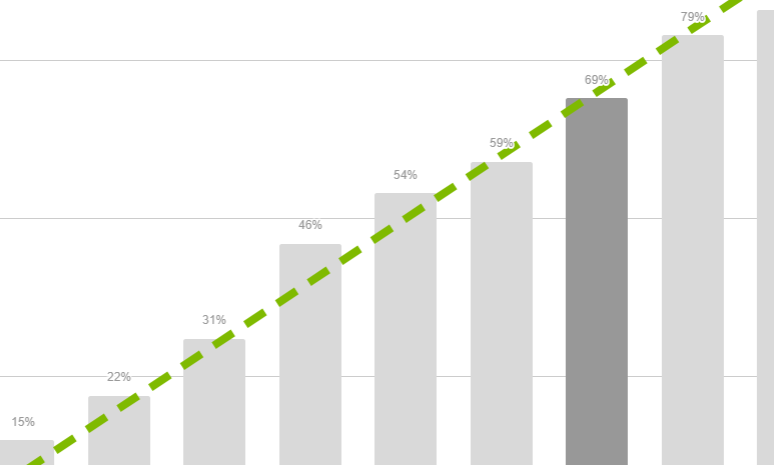 Optimized to reinforce your competitive advantage and exceed your business objectives. Predict whether service will be successful using our probability model. Identify the best address before you file suit and instantly attempt the best in-venue address following every unsuccessful service. Firms report time-savings equivalent to 40 staff members after partnering with ABC Legal. Tasks that took hours now take seconds. 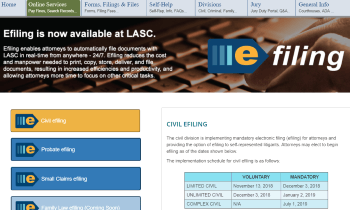 Automate your e-filing, skip-tracing, venue selection, data-entry and appearance counsel scheduling. Our platform is a seamless interface between courts, process servers, and you. No matter where you file and serve cases, you have the data you need and the options you want all in one place. Enjoy streamlined audits by choosing a single trusted partner for filing, e-filing, service of process, skip-tracing and appearance counsel. Designed for a faster, easier online experience so you can get back to work. Our process servers report every service event straight from the field using the ABC Mobile app and we send instant notifications straight to your inbox. Never be caught wondering whether your case has been served again. Tired of micro-managing your process server? We wrote software to enforce the filing and service requirements in every venue so you can focus on your client. No phone calls, no price negotiations, and definitely no documents in the mail. Just upload your case, pay by credit card, and get back to work. We'll send you email notifications at every step of the way. Built to help you scale your business across clients, geographies and practice areas without bottlenecks. Our platform is a seamless interface between courts, process servers, and you. No matter where you file and serve cases, you have the data you need and the options you want all in one place. Every court, county and state has different rules. We wrote software to enforce the filing and service requirements in every venue rules so you can focus on the bigger picture. We built our business around eliminating or automating repetitive tasks so our team members could focus on our customers. We think your firm can do the same. Automate your e-filing, skip-tracing, venue selection, data-entry and appearance counsel scheduling. More than 2,000 process servers. All 50 states. More than 2,000 process servers. Over 10 million successful services. 10-20 point service rate increase from bundled investigation. Collaborate directly with remote counsel and eliminate the middle-man markup. Docketly is an ABC Legal company. Thousands of legal professionals use ABC Legal products and services every day to save time, streamline operations, and serve more parties. Explore our case studies to learn how. Can Your Process Server Do This? Import filing and service data directly into your case management application. 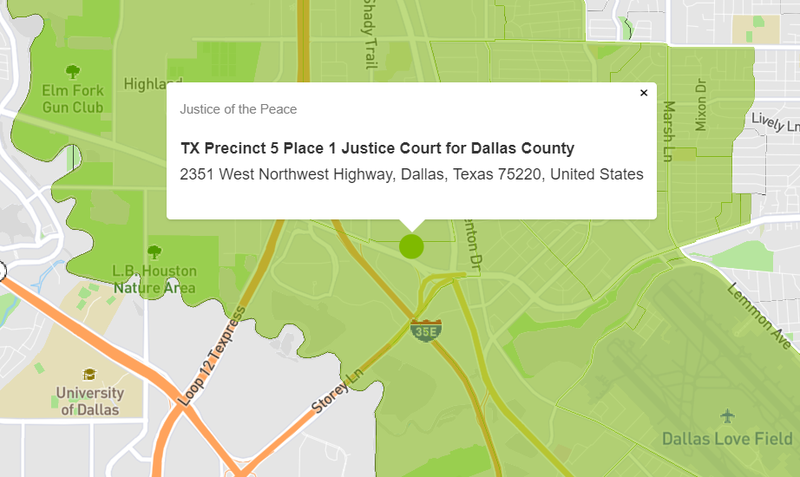 Upload data and quickly determine venue in complex jurisdictions like Texas. Predict service probabilities. Find more defendants. File your documents electronically with ease. Receive instant notifications within seconds of successful service. 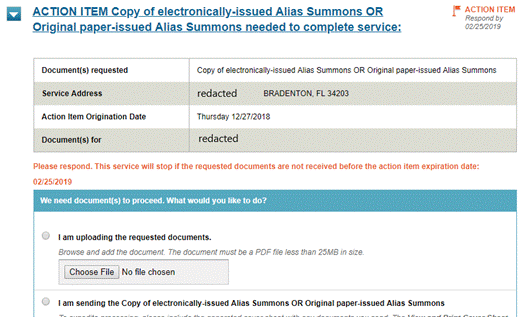 Access your process server's coordinates and photos taken at the time of service. Compliance dashboard. Auditable policies. Complaint tracking. Add client requirements to ABC Mobile & gain direct oversight of every service.